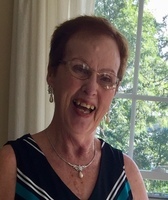 Provide comfort for the family of Barbara Plunkett with a meaningful gesture of sympathy. 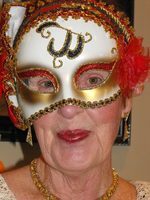 DEFALCO PLUNKETT (nee Laidley), Barbara - Barbara passed away peacefully, with friends and family at her side, at the Royal Brock Retirement Home on April 1, 2019. Mourned by sons Jeffrey and Matthew, along with step-children Stephen (deceased), Susan, Gerry (deceased), Connie (deceased), Jane, Tommy, Nancy, Tim and Mary. Also missed by numerous grandchildren, cousins, other extended family and dear friends. Barbara was pre-deceased by husbands Stephen Defalco Sr. and Harold Plunkett. Barbara had a larger than life personality that is sorely missed by all who had the good fortune to cross her path. 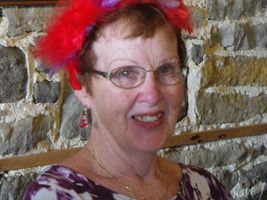 A retired Grade 3 teacher, Barbara enjoyed reading, entertaining family and friends and had a passion for travel. Irvine Funeral Home, 4 James Street East, Brockville has been entrusted with the arrangements. Visitors may call Thursday April 4, 2019, 2-4pm and 6-8pm at Irvine Funeral Home. A funeral mass is to be said for Barbara Friday April 5, 2019 at St Francis Xavier Church at 2pm. Reception to be held after the funeral at Irvine Reception Center. A HUGE THANK YOU to all staff at the Royal Brock Retirement Home who made the final 2 months of life a real joy for Barbara! Barbara’s family and close friends are so grateful for all that Royal Brock staff did. In lieu of flowers, donations to the Brockville and District Hospital Foundation Palliative Care will be gratefully acknowledged. To make a donation, please, select "Brockville and District Hospital Foundation" at the bottom of this page and follow the steps to specify a donation to the palliative unit. Barb was a wonderful colleague and encouraging friend. So sorry that she had to be so sick. Her love for life and strong faith in God has been an inspiration to many. Will always remember the laughs and good times at ACS and HCCS. Her interest in kids and insights in and dedication to education are a real legacy. Will never forget this classy, unique lady! Many sympathies to all her family and friends! Our prayers are with you! Barb would light up a room, just by walking into it. What an amazing woman. I am truly saddened to hear this news. My thoughts go out to her family during this time. Thank you, Barb for allowing me the opportunity to know such a beautiful, caring and kind soul. Sincerest condolences. 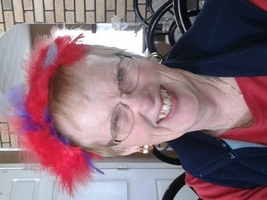 Cousin Barb was always a bright, shining light with her sharp mind, intelligence & wit. Her bright smile and great memory, especially of family history, will be missed. She was always special. So sorry to hear this news. The world will be a little less brighter without Barb in it. I had the pleasure of having Barb as a respiratory patient of mine and always enjoyed our chats and her contagious smile. My deepest condolences to her family and friends.